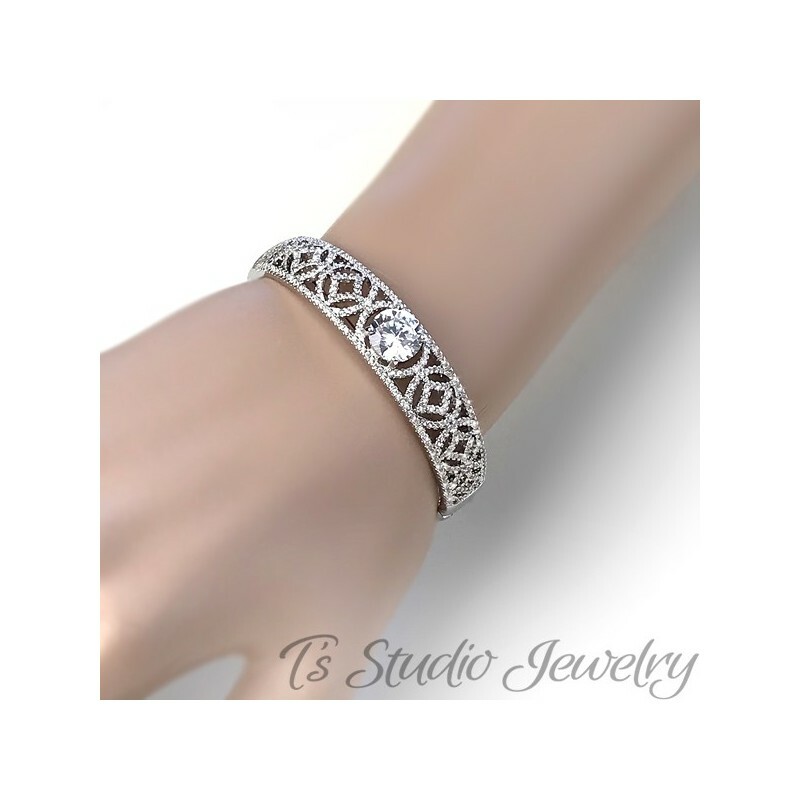 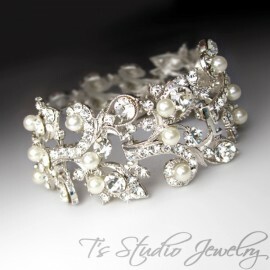 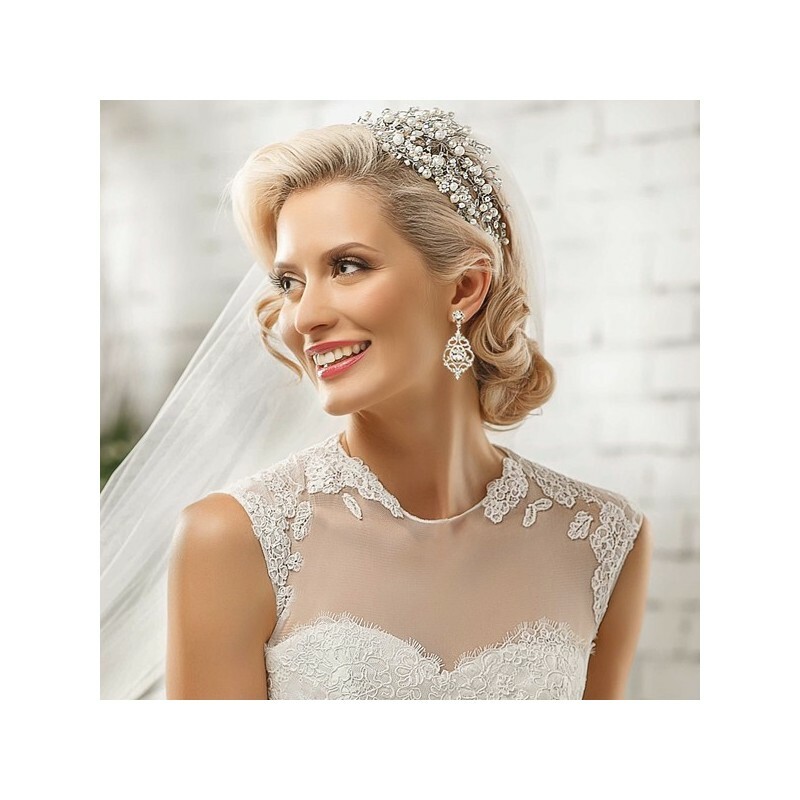 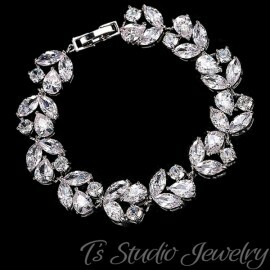 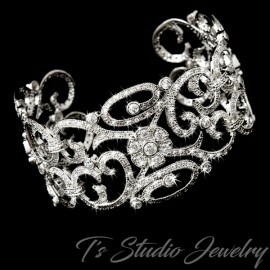 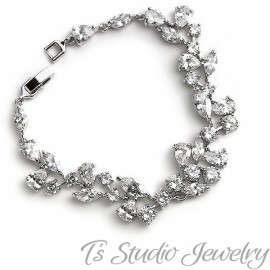 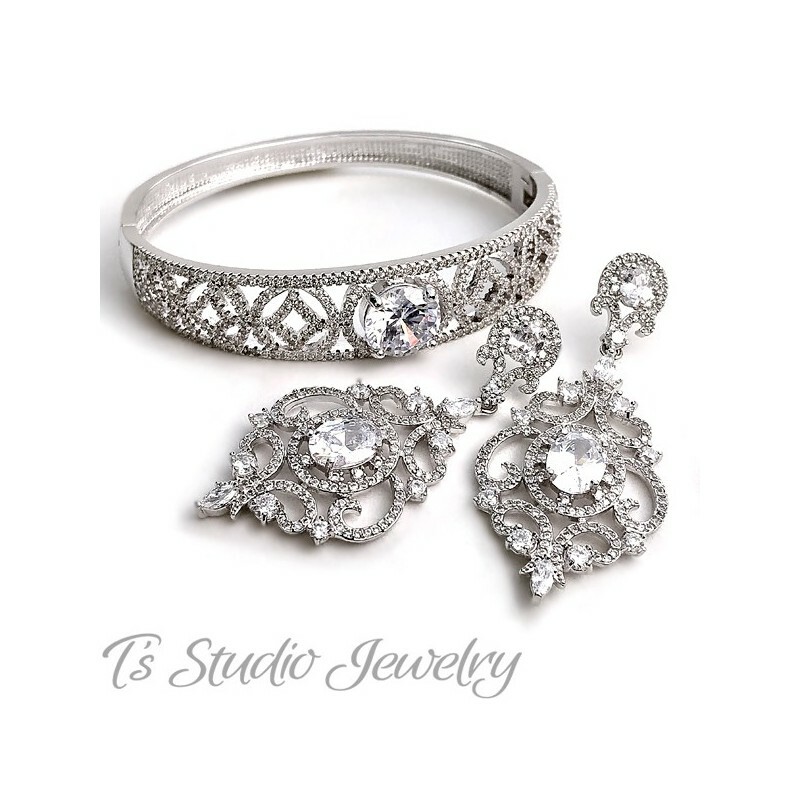 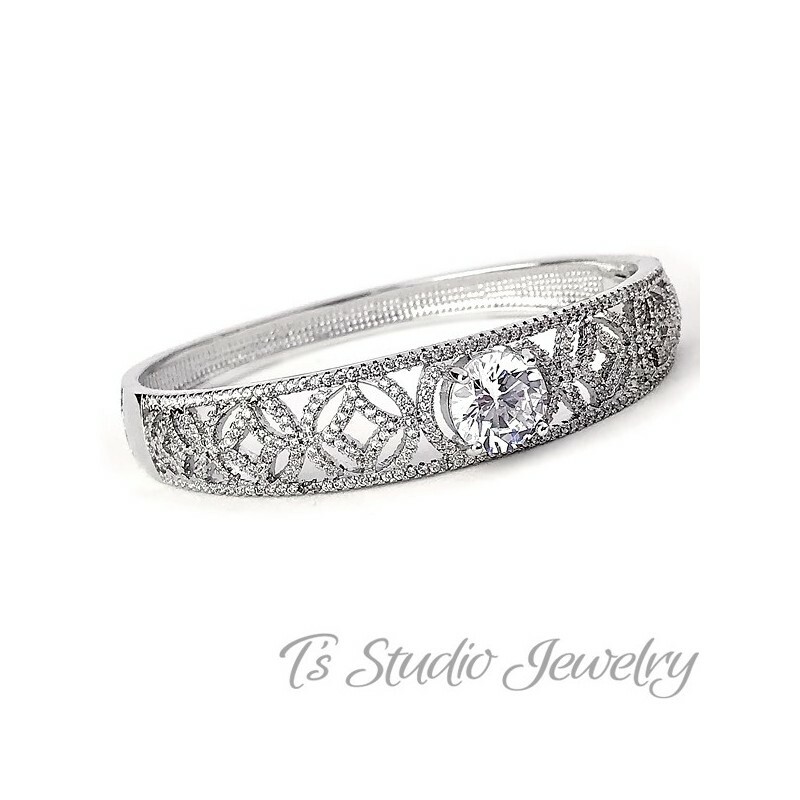 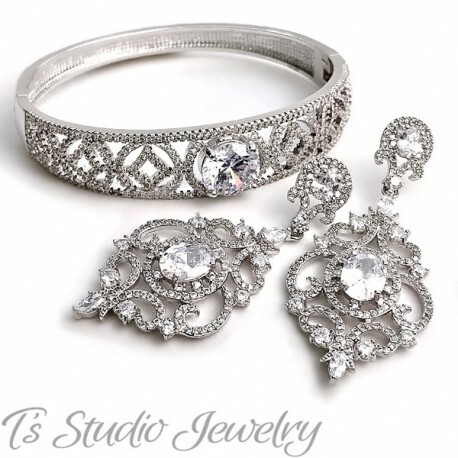 This beautiful silver plated cubic zirconia encrusted cuff bracelet lends a sense of elegance to your classic, vintage-inspired, or modern wedding. 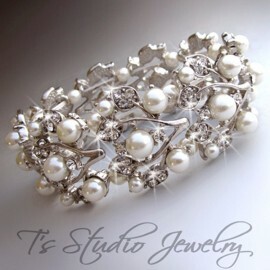 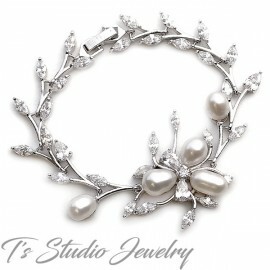 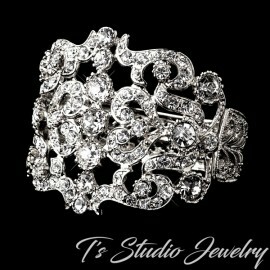 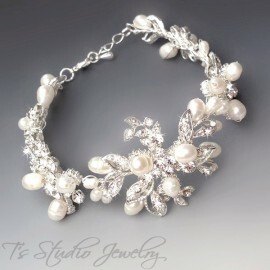 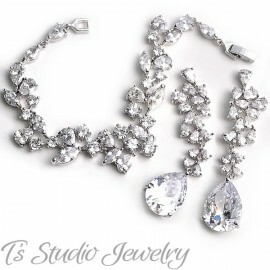 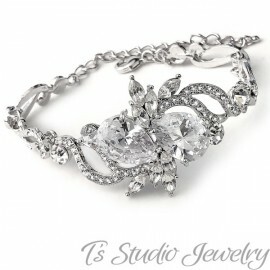 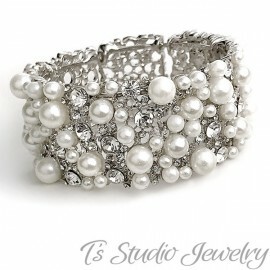 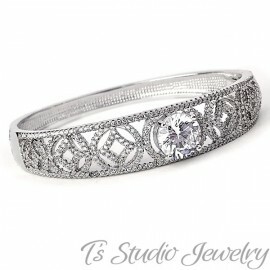 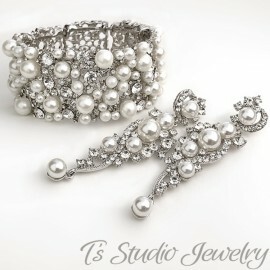 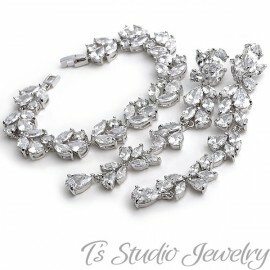 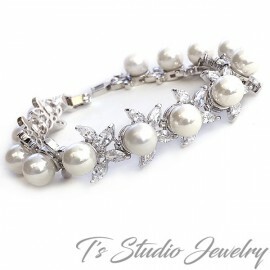 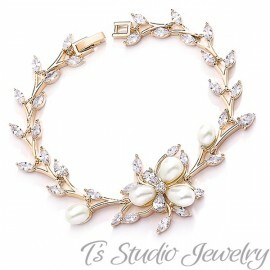 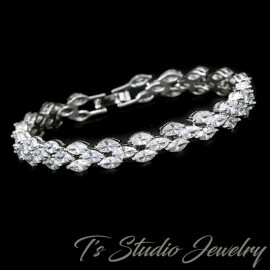 The classic elegant design is a beautiful choice for any wedding or special occasion. 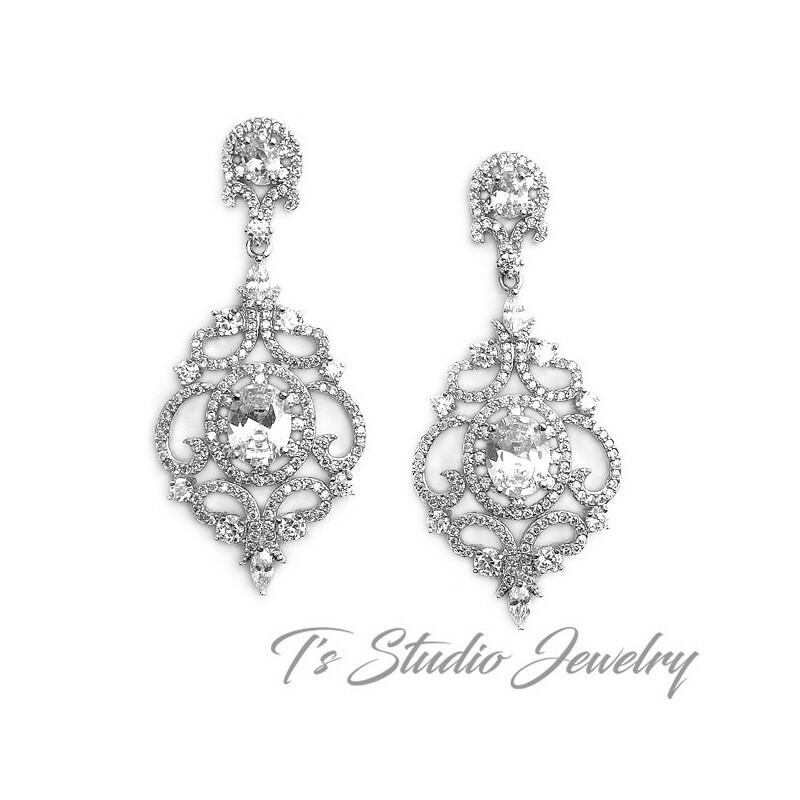 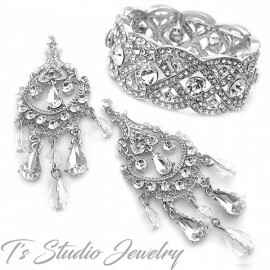 The matching earrings are on a rhodium plated silver base encrusted with several cubic zirconia stones in a pave style design. 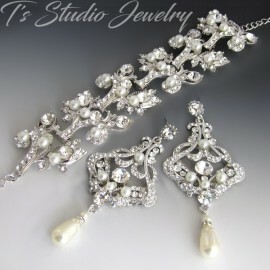 Also sold as a set with the matching earrings.